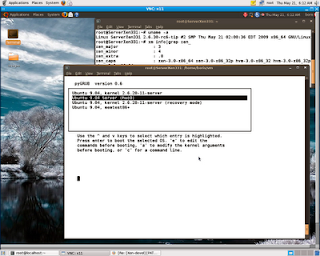 Management remote Xen Unstable Dom0 on top of Ubuntu Jaunty Server via VNC connection,invoking /usr/bin/gnome-session might have a problem with low quality network switches, unable properly communicate with PCI-E Ethernet Gigabit Adapters integrated on the boards.Light weight X environment might be required to manage HVM DomUs via VNC. 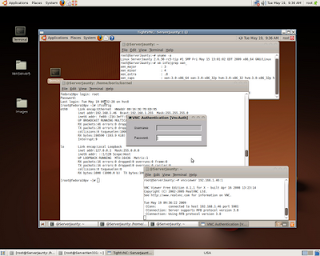 Following bellow is an exact set of instructions for Xen 3.5(4) hackery on Ubuntu 9.04 Server. 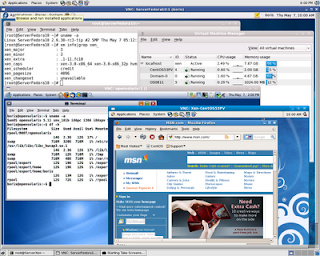 AppArmor and Network-Manager may be kept as installed originally . View  for the first draft. Have Ubuntu Intrepid Server dual boot with Jaunty just to perform Xen build properly and remove afterwards . 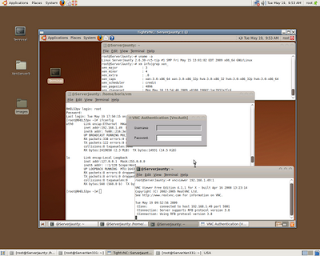 It’s needed due to issues with python setup on Jaunty Server. 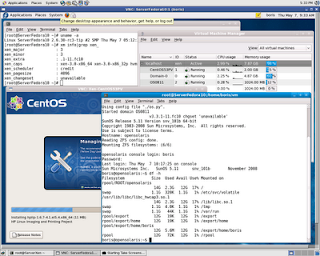 We would build Xen Unstable (3.5) from source on Ubuntu 8.10 server and perform install via “make dist and install.sh to remote instance”. 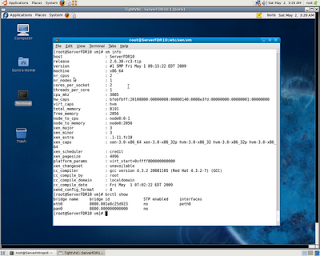 I believe procedure bellow will run same way with Jaunty root file system mounted as NFS share on Intrepid Server. 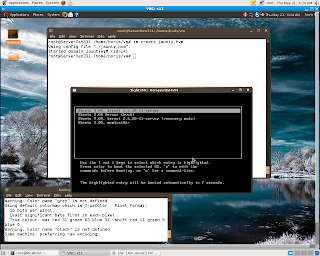 Perform core build on Ubuntu Intrepid Server. 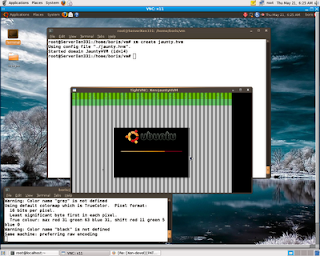 python2.5-dev on Ubuntu Jaunty Server. Symbolic link /usr/lib/python is pointing to python2.6. 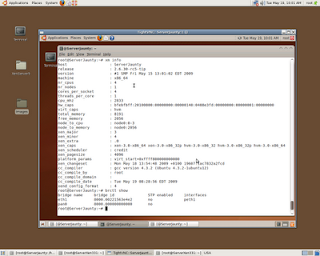 I presume that root FS of Jaunty Server is installed on /dev/sda1. 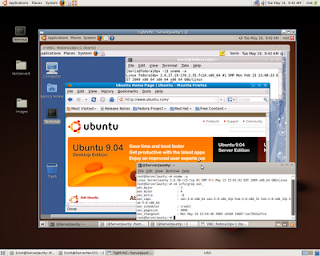 At this point you would have to install either xenified 2.6.29.4 or pvops enabled kernel on Ubuntu 9.04 (aka Jaunty )Server. 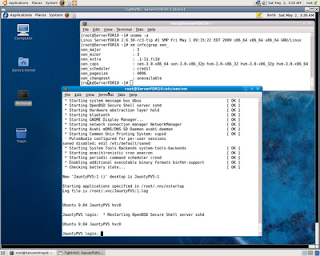 I’ve tested 2.6.29.4 ,patched via rebased Suse’s rpm by Andy Lyon, and the most recent 2.6.30-rc6-tip kernels. 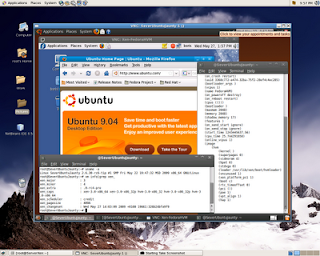 Run tasksel to install Ubuntu Desktop for PV DomU. Shutdown PV DomU and load HVM DomU. Have Ubuntu Intrepid Server dual boot with Jaunty just to perform Xen build properly and remove afterwards . 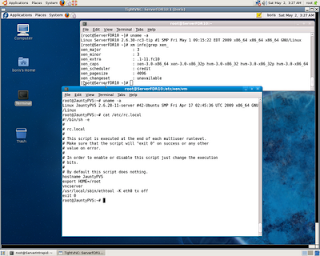 It’s needed due to issues with python setup on Jaunty Server. 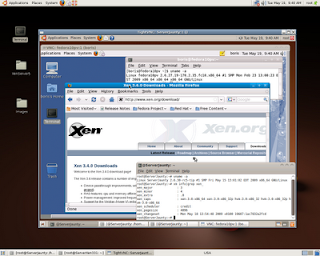 We would build Xen 3.4 from source on Ubuntu 8.10 server and perform install via “make dist and install.sh to remote instance”. I believe procedure bellow will run same way with Jaunty root file system mounted as NFS share on Intrepid Server. 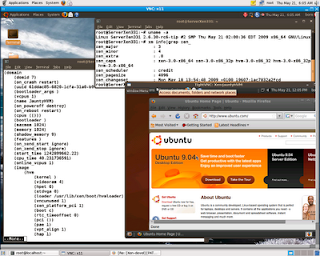 First – perform core build on Ubuntu Intrepid Server. 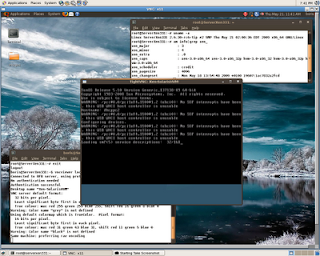 with the only one purpose to support pygrub been using python2.6. 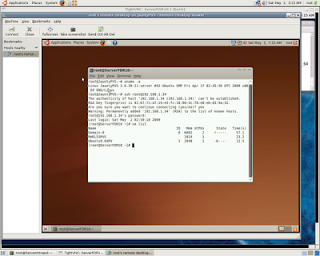 Install also python 2.5 & python2.5-dev on Ubuntu Jaunty Server. Symbolic link /usr/lib/python is pointing to python2.6. [ 0.000000] AMI BIOS detected: BIOS may corrupt low RAM, working around it. [ 0.000000] Detected 2833.072 MHz processor. 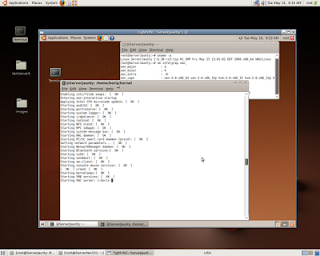 [ 0.010000] SELinux: Disabled at boot. 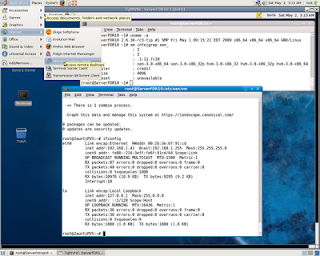 [ 0.043058] PCI: Not using MMCONFIG. [ 0.124865] ACPI: No dock devices found. 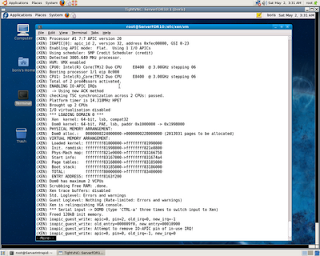 [ 0.155560] ACPI: PCI Interrupt Link [LNKE] (IRQs 3 4 5 6 7 10 11 12 14 15) *0, disabled. 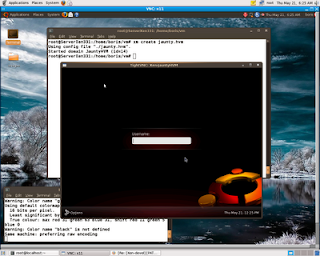 [ 0.157605] xen_balloon: Initialising balloon driver. 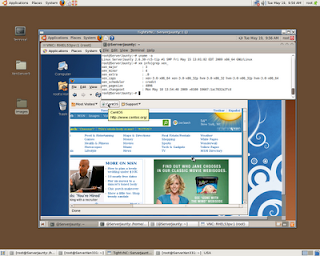 [ 0.158163] libata version 3.00 loaded. [ 0.576338] Event-channel device installed. [ 5.731036] IO APIC resources couldn't be allocated. [ 5.731550] EDD information not available. [ 8.418940] EXT3-fs: mounted filesystem with writeback data mode. 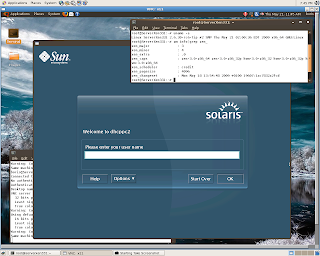 [ 838.587162] sysctl net.netfilter.nf_conntrack_acct=1 to enable it. [ 1055.253412] physdev match: using --physdev-out in the OUTPUT, FORWARD and POSTROUTING chains for non-bridged traffic is not supported anymore. [ 1110.698720] physdev match: using --physdev-out in the OUTPUT, FORWARD and POSTROUTING chains for non-bridged traffic is not supported anymore. [ 1120.185650] physdev match: using --physdev-out in the OUTPUT, FORWARD and POSTROUTING chains for non-bridged traffic is not supported anymore. [ 1184.268677] physdev match: using --physdev-out in the OUTPUT, FORWARD and POSTROUTING chains for non-bridged traffic is not supported anymore. [ 1216.795543] physdev match: using --physdev-out in the OUTPUT, FORWARD and POSTROUTING chains for non-bridged traffic is not supported anymore. [ 1284.918950] physdev match: using --physdev-out in the OUTPUT, FORWARD and POSTROUTING chains for non-bridged traffic is not supported anymore. [ 1485.498498] physdev match: using --physdev-out in the OUTPUT, FORWARD and POSTROUTING chains for non-bridged traffic is not supported anymore. [ 1937.628772] physdev match: using --physdev-out in the OUTPUT, FORWARD and POSTROUTING chains for non-bridged traffic is not supported anymore. [ 1947.120462] physdev match: using --physdev-out in the OUTPUT, FORWARD and POSTROUTING chains for non-bridged traffic is not supported anymore. [ 2031.958762] physdev match: using --physdev-out in the OUTPUT, FORWARD and POSTROUTING chains for non-bridged traffic is not supported anymore. [ 2053.385013] physdev match: using --physdev-out in the OUTPUT, FORWARD and POSTROUTING chains for non-bridged traffic is not supported anymore. 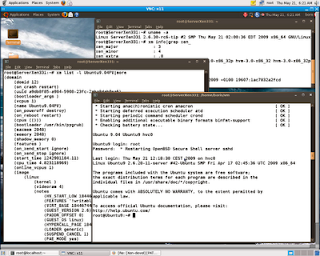 If you prefer to port via xensource.org Suse’s xenified kernel it will reproduce results from  with the most recent Xen Hypervisor 3.4 and 2.6.27.5 xenified kernel from Novell on Ubuntu 9.04 Server. 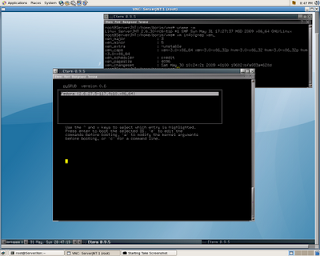 Fedora 11 Xen hypervisor package contains pv_ops dom0 kernel support, ie. 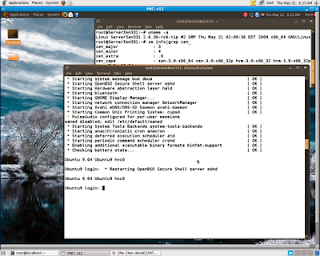 it is able to boot bzImage format dom0 kernels, and pv_ops sysfs memory ballooning support is included as well. 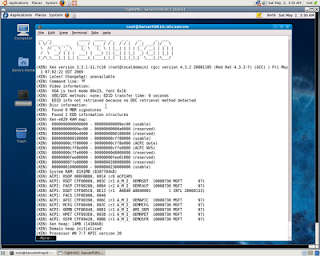 These features/patches are backported from Xen 3.4 development/unstable version to Fedora’s Xen 3.3.x. Make changes as mentioned above. 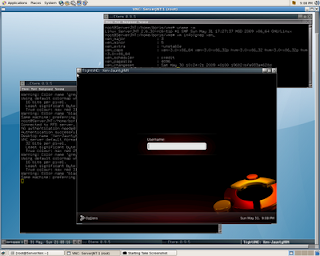 and reboot into Xen Host. forward PV DomU install for Ubuntu Jaunty,Intrepid,Hardy Guests at Xen 3.3.1 F10 Dom0 based on the most recent pv_ops enabled kernel 2.6.30-rc3-tip obtained via Jeremy Fitzhardinge git repository. 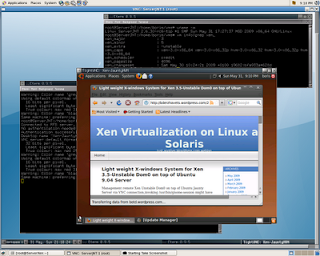 You are currently browsing the Xen Virtualization on Linux and Solaris blog archives for May, 2009.